Hey guys, i hope you are faithfully saving so that you can achieve the desired savings challenge outcome at the end of the year. 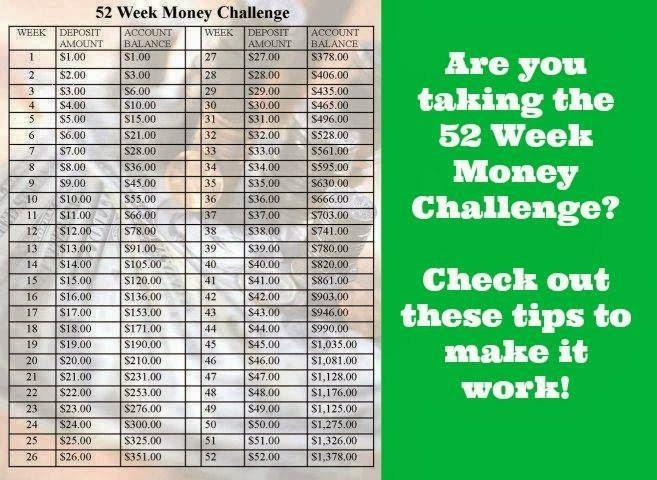 This week is week 3 so you should put aside 3 times the base amount that you decided to save. It means if your base amount was 1000, the amount you would set aside this week should be 3000 (3 times 1000). If you don't understand, click here for more information. My own challenge is going on great, i was given some money some days ago and instead of blowing it like i would have i took a small amount (i had an aso ebi that i had to sew so i paid the tailor with that amount) and shoved everything inside my saving container. I had to quickly shove it before i weakened and reduce the amount i wanted save. So when i did the calculation to see exactly what week the money would have covered, i saw that i had saved enough till week 10. Whoop! Whoop!! I won't relax though. I had earlier thought that when my bottle was filled up i would break it and place it in a bank account but i think that i am going to keep filling bottles until the total amount is really large and it is not safe for it to be in my house. Hey guys, did i tell you that i have another client for my hair business. Whoop! Whoop!! Mega Whoop!!! And she is my first client to officially pay the right consultation fee that i plan to collect. I am super excited. And guess what? I didn't even advertise to her. Apparently the sister of one of my guinea pigs.....lol actually my incharge has been following my blog and my wash posts and has been applying some techniques to her hair and it has worked for her. The new client said when she saw her hair she had to ask what she was doing and she referred her to me. Thanks ma... And with my latest client and the stress i encountered on Saturday after the stressful call, i think it might be necessary for me to get a shop. It doesn't have to be that expensive or really pretty. It is just a place where i can wash and treat my client's hair. Because going to people's house limits me to one client a day and as i have post graduate studies/exams this year i cannot afford to be going to people's house everyday. I can treat over 5 or more people's hair in one day. I told a friend of mine about it but she didn't think it was necessary until i explained that it won't be open always, just about 2-3 days and it is going to be an appointment only place. And she was down with the idea. Another friend also concurred. So now i am on the look out of a shop, someone who makes mirrors and mounts them and also i need to get a hooded dryer, washing stand and a generator. I won't be fixing weaves, installing braids or roller setting anybody's hair. I would just blow dry on cool air and encourage air drying which is better for our hair. Maybe as the business grows i would hire a hair stylist that would do all that but she won't only do it when i am around or have appointments. It won't be a regular salon just a hair clinic. That is my plan for now. I really hope God takes control of everything. I just need to get the estimate and start a savings plan for it. Or should i get a loan? I really don't like loans. Don't i need a business proposal for that? I don't know how to write one o. Do i need to register a name with corporate affairs commission too? Okay, i am getting overwhelmed here. Too many things to think about. I am going to carry out my research then map out a plan. It is all in God's hands. Thanks for stopping by. And a big thank you to my readers who have been following my wash posts and have encouraged me in one way or the other. I am extremely grateful.